It may be hard to believe, but Resident Evil 2 has been finally remade after years of countless fan requests and petitions. Unlike the most recent remasters of the likes of Shadow of the Colossus, Crash Bandicoot, and Spyro trilogy; Resident Evil 2 is a full fledged remake from the ground up and not just a pretty version of the original game with HD gloss. The creators play with and subvert the expectations of a remake, and that makes the game feel both familiar and surprisingly fresh. Does this remake capitalize on our 90’s nostalgia with finesse or does it beat a dead reanimated corpse? Free from the recent trend of HD remasters, Resident Evil 2 goes all the way with its remake. The original 1998 release of Resident Evil 2 allowed players to run through pre-rendered static backgrounds akin to a security camera. It gave off a voyeuristic vibe and an unease for first time players as they would not be aware of what was around the corner. 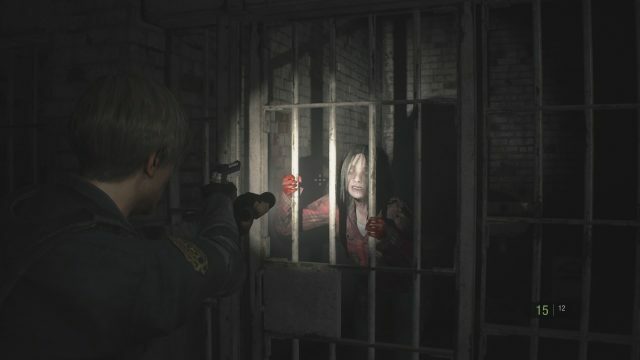 This 2019 version opted for the third person over the shoulder look that Resident Evil 4 popularized. Those who have played any third person shooter within the past two generations can easily pick up and play this title. But there lies the catch. Unlike other action protagonists who can freely run and gun, your characters in this game move in a slower more methodical manner. Coupled with the intimate camera and tight spaces, this creates a sense of dread and anxiety that the last entry, Resident Evil 7, was able to bring back to the franchise. And much like Resident Evil 7‘s return to form, this title also brings back the limited item management which gives every safe room not only a chance to catch your breath but to also methodically think of what to bring with you before you trek through the dangerous corridors. The corridors of the locales such as the police station (which take up the bulk of the game) are filled with numerous zombies. While you don’t necessarily need to kill every zombie you encounter, you will need to eventually backtrack through certain areas again and avoid the pesky mutants. These zombies aren’t pushovers either, as entering one room does not necessarily mean you’re safe since they can now barge through doorways and windows. Being grabbed by one also leads to an impressive yet also terrifying close up of their mugs before they take a bite out of you. Although being caught in rotting arms doesn’t necessarily mean instant doom, players can collect defensive items such as knives and grenades that they can use to avoid damage. These defensive items can also be used as secondary weapons such as stun grenades to distract enemies. Like every other item in the game however, they are limited in quantity, so split second thinking in the middle of a zombie meal is going to happen quite frequently if one isn’t careful. Resident Evil 2 carries the torch of looking both beautiful and horrifying in one amazing package. The impressive RE Engine from Resident Evil 7 also powers this title and is pushed even further with detail bursting at every aspect of the game. The environments are oppressively dark with the occasional ray from your flashlight that illuminates all the blood, corpses, and monsters that lurk around each corner. The zombies really steal the show and really highlights the power of the engine. Zombies are now incredibly diverse coming in different sizes and ethnicities, and the chances of running into a model clone is extremely rare and definitely shows the care and effort Capcom developers have put into this game. The game also runs extremely smooth. I never experienced a slowdown at all during the 15+ hour campaign. The cutscenes also deserve special mention with facial animations greatly improved from some of the uncanny valley that Resident Evil 7 dipped into every now and then. Each character looks stunning and well animated, and coupled with great voice acting, it creates well realized characters that are entertaining to watch. The sound design in the game is top notch as well, immersing you into the game. Resident Evil 2 deserves to be played in surround sound. The terror from hearing zombie groans and the footsteps of the relentless Mr. X are only amplified with this method, and those wanting to get sucked into Raccoon City absolutely need to go for this feature. In the original release, the soundtrack was home to memorable tracks such as the main hall, various boss themes, and the ever comforting save room theme. Some of these tracks return in this title, but the remake opts for a more ambient and atmospheric soundtrack. Unnerving tracks that are paired with the patter of rain and taps of your footsteps ramp up the tension not seen in a whole lot of third person action games as of late. The most revolutionary aspect of the original 1998 release was the character zapping system. The game follows two characters, Leon and Claire, and players are free to choose whoever they want to play as first. By completing one character’s story the player could pick up and play the next character from their point of view. By picking up certain items in the first playthrough, it could prevent the second character from picking up those same items. It also created a bit of conflict in the canon of the story, as certain character’s fates would be changed depending on who you played as first. This 2019 version brings back the system… sort of. The story is a bit more streamlined this time around with certain scenes overlapping to show a side by side on how either character reach certain points in the game. Sadly, some cohesion is broken when specific puzzles are repeated in the second run and some boss fights as well. While this is a minor gripe, it was surprising to me that this inconsistency was in a remake of all things. Resident Evil 2 was definitely created with both the original fans and newcomers in mind, showing both throwbacks with nostalgic glee and steps to ease in the new players. The in-game map is one of the most crucial aspects of exploring as it shows off items not yet picked up and what doors are locked with the proper key needed. Different rooms and areas of the game are also highlighted to show if something is missing and or unexplored completely, which greatly reduces the aimless running back and forth. I played both campaigns on normal difficulty and definitely found the first run through fairly easy with my few deaths due to trying to figure out boss patterns. 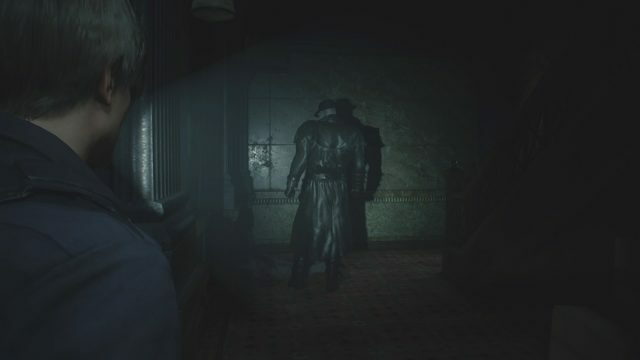 The second run spiked its difficulty, especially with the constant chase from Mr. X, leading players who braved the first run to question and hesitate in their second run. Thankfully, difficulty can be adjusted when a player has died multiple times, so feel free to set aside your ego if things get too tough. We just want to go back, back to 1998. This version of Resident Evil 2 has far exceeded all my expectations. 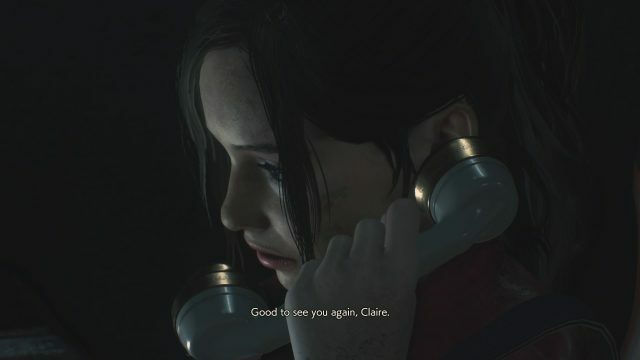 At the end of my 16 hour campaign with both Leon and Claire, I felt like I had just seen an old friend for the first time in years. A friend who has experienced many changes, but is still the same old person you knew years ago. What the 2002 remake of the first Resident Evil did for the original is multiplied tenfold in this remake. 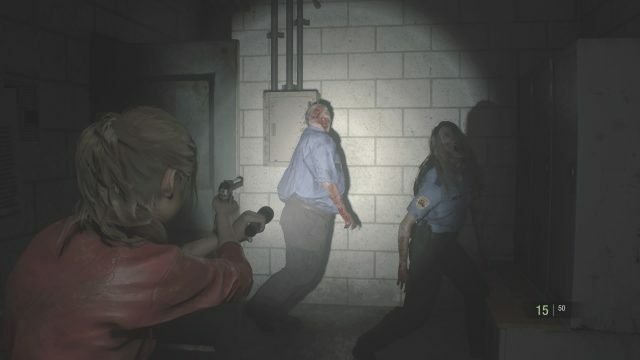 The remake of the original Resident Evil took huge leaps forward within one generation and took creative liberties by adding mechanics and story portions that enhanced the game. But in the end, it was still fundamentally the same game. This remake is still essentially the same game, but wholly different at the same time. In fact, it complements the original and you can put the two side by side and appreciate what each iteration does for the series. This game takes bold steps in recreating the story beats while keeping things fresh. Capcom ensured the story wouldn’t stray too far from the original, and while I knew what was going to happen to certain characters and events, the moments that lead up to one another created so many twists and turns that made me gasp and stare wide eyed at my screen. The gameplay meshes the old school along with the familiar third person shooting mechanics making traversing as smooth as butter and blasting away at enemies just as satisfying. So please, do yourself a favor and start off 2019 with a bang. 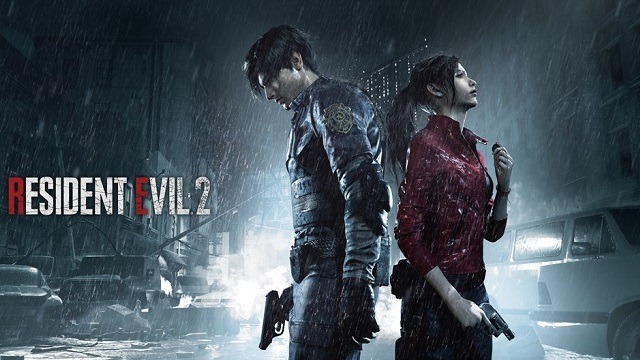 Resident Evil 2 is available through all major retailers for $60, while the Deluxe Edition runs at $70.